London, Ontario – July 31, 2018: The Western Fair is hosting its third annual Day of Dreams, where children with special needs and their guest can attend the Fair in a comfortable and intimate environment. Like a warm hug, the feel good parts of the fair are shared from one person to another, in a safe and controlled space. The sights, sounds and smells of the Western Fair should be enjoyed by all and this custom tailored experience ensures positive memories will be made. “Roy Inch & Sons Service Experts is ecstatic to be the sponsor for Day of Dreams. It is such a wonderful feeling to see the joy on all of the children’s faces and see them have so much fun. It truly is an amazing experience not only for the children but for us to be able to bring so much joy to a child’s life,” stated the long-time sponsor of this niche community event. Day of Dreams has proven to be a highlight for special needs children aged three to twelve. Experiencing the entertainment, rides and Fair feels without the traditional hustle and bustle. 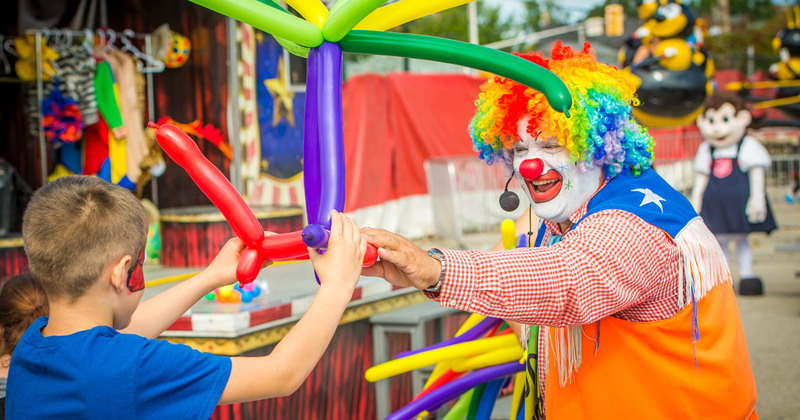 Midway rides, Doo Doo the Clown and mascots will be onsite to entertain. Cowboy Fred, C- more Country Corral and Down on the Farm in the Park are a few of the many events taking place on this special day. North American Midway Entertainment, Spectra Venue Management, Food Services Hospitality and Med-On-Site will continue to provide support, while the Western Fair Association staff will generously volunteer their time.